These results reveal an endogenous mechanism to explain how physical exercise leads to the induction of BDNF. BDNF levels were elevated in PLA and PRO treatments, while the CHO treatment had unclear effects. PLA data confirms elevated BDNF response due to aerobic exercise, while PRO data suggests a similar response. 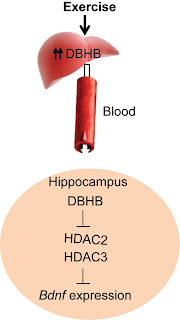 BDNF response seemed to be blunted by CHO treatment. The results from this project justify follow-up investigations to determine the precise relationship between CHO supplementation and the BDNF response to aerobic exercise. 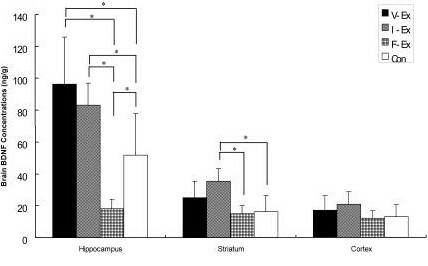 The effect of acute exercise on serum brain-derived neurotrophic factor levels and cognitive function. BDNF levels in humans are significantly elevated in response to exercise, and the magnitude of increase is exercise intensity dependent. 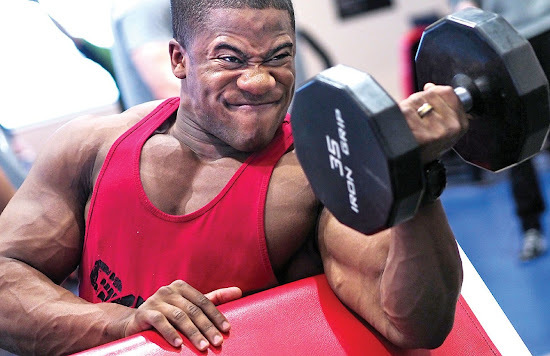 These results suggest that shorter bouts of high intensity exercise (HIT) are slightly more effective than continuous high intensity exercise (CON) for elevating serum-BDNF. 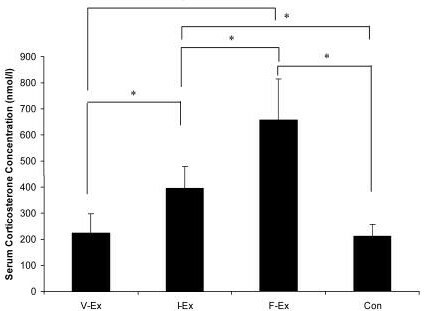 A dependence of the increase of AEA concentration on exercise intensity has also been documented. Plasma levels of AEA significantly increased upon 30 min of moderate exercise (heart rate of 72 and 83 %), but not at lower and significantly higher exercise intensities, where the age-adjusted maximal heart rate was 44 and 92 %, respectively. Effects of carbohydrate (CHO) and fat supplementation on CHO metabolism during prolonged exercise. Plasma free fatty acid (FFA) concentrations were elevated during exercise to a level of approximately 500 micromol x L(-1) and were comparable in all trials, whereas plasma ketone concentrations significantly increased after MCT ingestion as compared with the CHO trial.